An independent organization of leading scientists and journalists researching and reporting the facts about our changing climate and its impact on the public. A punishing and deadly heat wave is roasting the Western U.S., toppling all-time high temperature records in a wide area extending from Arizona to the Pacific Northwest. On Sunday, Las Vegas tied its all-time mark with a high temperature of a sizzling 117°F, and the heat is expected to last at least through midweek. Forecast atmospheric pressure departures from average (geopotential height anomalies) at about 18,000 feet for Tuesday, July 2. The red area shows the sprawling “heat dome” or area of higher than average pressure, across the West. The heat wave is affecting areas that are already coping with extreme drought conditions, and the hot and dry weather, combined with dry thunderstorms, has helped set off deadly wildfires — including the deadly Yarnell Hill fire in Arizona. That fire has destroyed at least 200 homes and led to the deaths of 19 specially-trained firefighters on Sunday, in the deadliest wildland firefighting event since 1933, when 29 firefighters were killed battling a blaze in Los Angeles. 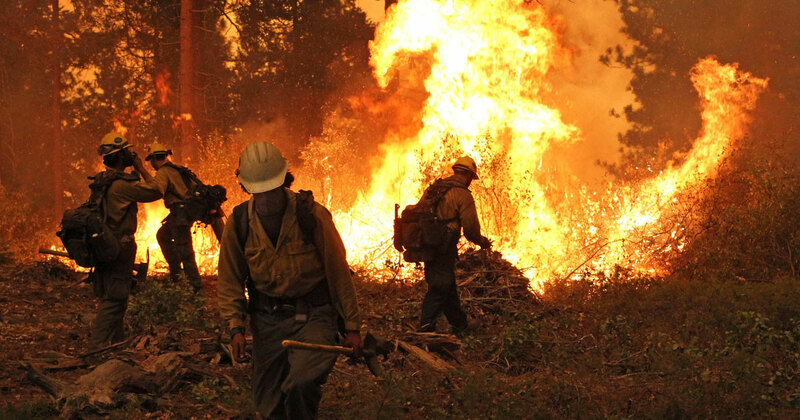 The National Weather Service is warning that the heat, combined with more thunderstorms, may spark additional wildfires this week across the West, and may also contribute to extreme wildfire behavior, such as the conditions that overtook the firefighters. The heat wave is threatening the all-time world-high temperature record of 134°F, set at Death Valley, Calif., in 1913. Forecasts show high temperatures flirting with 130-degrees there on Monday and Tuesday, but probably not reaching or exceeding the all-time mark. On June 30, the 129°F at Death Valley tied the record for the highest temperature on record there in the month of June. Records there extend back to 1911. The heat wave is also making its presence known in national temperature statistics. 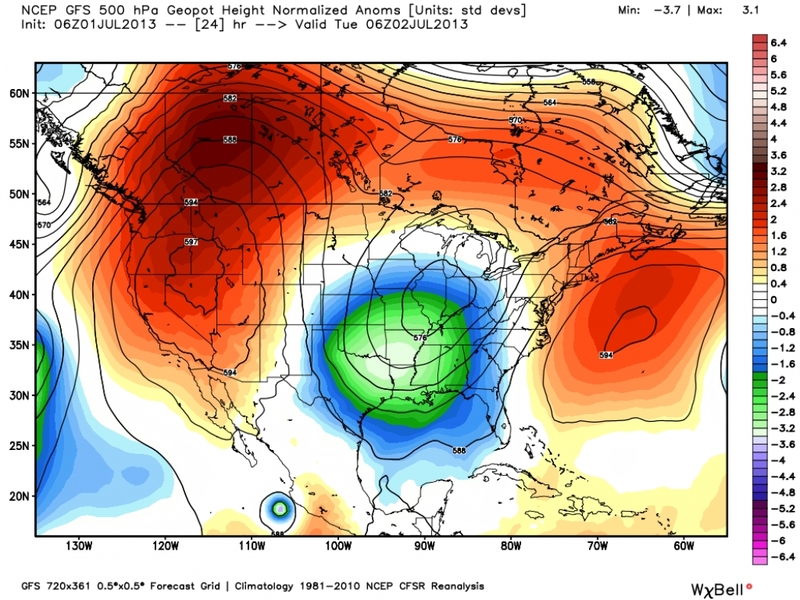 During the June 24-29 period, there were 46 monthly high-temperature records set or tied in the U.S., along with 21 records for the highest overnight minimum temperature. During the same period there were 13 all-time high temperature records set or tied across the U.S., along with three all-time marks for the highest overnight low temperature. With more records set on June 30 and likely to come through July 4, the national numbers are bound to increase. 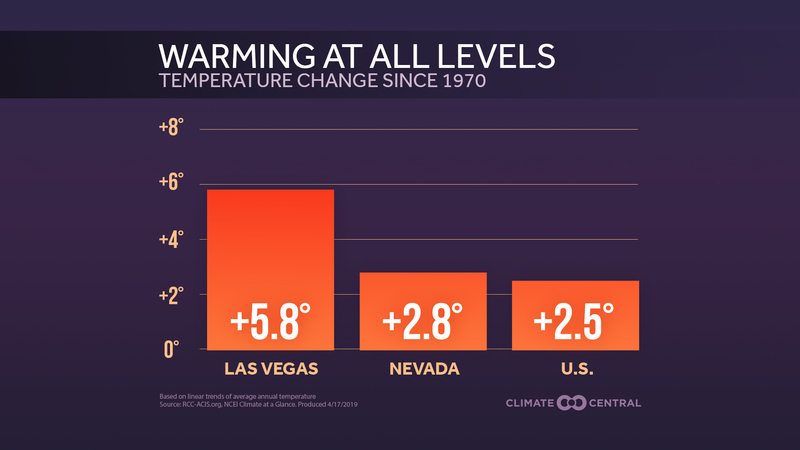 In Las Vegas, the National Weather Service called the 117°F on June 30, “The jackpot of Las Vegas record-high temperatures.” It was Las Vegas' highest temperature in the month of June, topping the old mark of 116°F set on June 15, 1940. Las Vegas also had its warmest June on record, with an average temperature of 91.5°F. Official records in Las Vegas date back to 1937. Record-high temperatures have also been set in California’s Central Valley, Oregon, Washington, and Utah, among other states. For example, Sacramento, Calif., reached 107°F on Saturday, its daily high record. Other parts of the West are also roasting, with Salt Lake City seeing back-to-back days of the hottest temperature on record there, with highs on Friday and Saturday reaching 105°F. At Needles, Calif., the 122°F on Sunday set a record for the first time that location has ever had three straight days of 120°F or greater heat in the month of June. The previous day, Needles reached a high of 123°F, which broke its all-time mark for the month of June. Records for Needles date back to 1888. A similar record was set in Kingman, Ariz., where the June 28-30 period was the first time it recorded three straight days with high temperatures of 100°F or greater. The heat wave is the result of a massive dome of high pressure that has rerouted the jet stream from the Pacific Ocean northward into Canada, preventing storms and cooler air from surging south, and locking the already drought-stricken West into an extended bout of sizzling temperatures. While each heat wave has ties to short-term weather variability, increasingly common and intense heat waves are one of the most well-understood consequences of manmade global warming, since as global average surface temperatures increase, the probability of extreme heat events increases by a greater amount. Data already suggests that heat waves have are becoming more common worldwide, and the Western U.S. in general has been warming faster than the rest of the country in recent decades. In fact, Arizona was the fastest-warming state in the continental U.S. since 1970. One study, published in the Proceedings of the American Academy of Sciences in 2012, found that the odds of extremely hot summers have significantly increased in tandem with global temperatures. Those odds, the study found, were about 1-in-300 during the 1951-1980 timeframe, but that had increased to nearly 1-in-10 by 1981-2010. Another study to be published in the journal Geophysical Research Letters found that manmade global warming has increased the chances of Australians experiencing extremely hot summers by more than five times, and is likely to raise the odds by even more in the coming decades. Australia experienced its hottest summer on record in 2012-2013, which also featured destructive wildfires and floods. Extreme heat also poses a major public health threat, since extreme heat is the No. 1 weather-related killer in the U.S. The NWS has warned that little relief from the hot temperatures can be expected at night, especially in urban areas, and at least one heat-related death has been recorded in Las Vegas. Heightening public health concerns is the lack of any nighttime relief from the heat. On June 30, for example, the low temperature in Phoenix was 91°F, which tied the record-high minimum temperature for the date. In Las Vegas, the temperature only fell to 89°F on June 30, which tied the all-time record high minimum temperature for the month of June. In addition to the threat to public health, the hot weather is also complicating transportation in parts of the West. According to the New York Times, Phoenix-based US Airways grounded 18 of its regional flights because the manufacturer of the jets had not produced performance statistics for the aircraft at temperatures above 118°F. Extreme heat affects aircraft performance, increasing the amount of runway required for aircraft to take off because warm air has less density than cold air. AMERICAN WARMING: The Fastest-Warming Cities and States in the U.S. 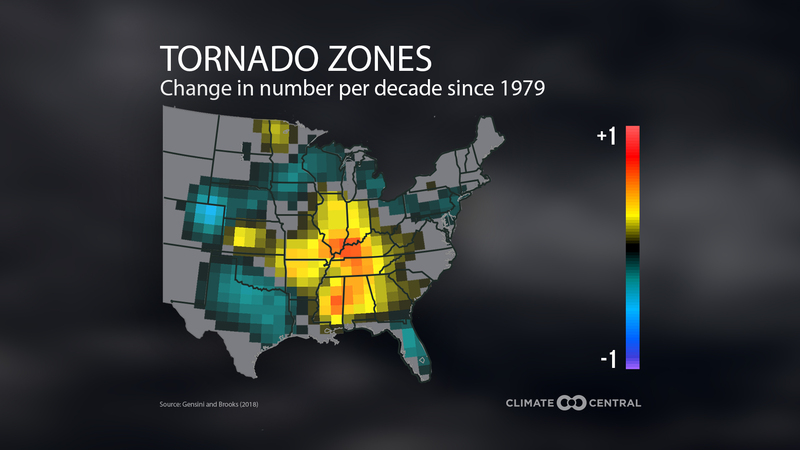 Copyright © 2019 Climate Central.